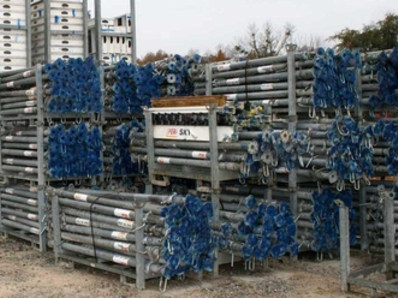 Used PERI Props PEP 30-350's This is an Excellent opportunity to purchase used PERI formwork PERI Props PEP 30-350's at HUGE SAVINGS. 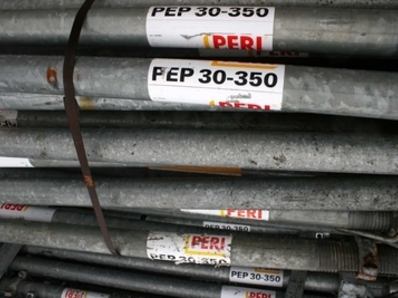 Please reach our sales department to discuss PERI shoring materials further. PEP 30 props correspond to Class E of DIN EN 1065. The permissible prop load is a min. 30 kN for all extension lengths. 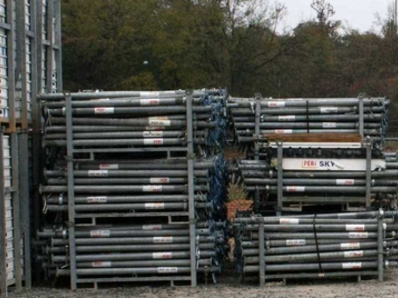 Durability The 100 % galvanization of all surfaces at the end of the production process ensures a long service life. The prop heads are centered using the same end plates on the inner and outer tube. This means the new PEP props can easily be turned “on their head” and are simple to use. PEP props can also be lowered easily by means of a tie rod,even under full load. All PEP 30 Props clamped in the table swivel head or UNIPORTAL head fitted to PERI tableforms have a permissible load of a minimum 40 kN (PEP 30-150 = 35 kN) over the entire extension range.